It’s hard to believe that, in a finale that sees the start of Arya’s vengeance spree, the liberation of Yunkai’s enslaved people, and reunions for Cersei and Jaime as well as Jon and Ygritte, the most significant developments for the larger story come via the sweet and shy Samwell Tarly. Yes, that Samwell Tarly, the bookish lad turned reluctant Night’s Watchman, and bane of his father Randyll Tarly’s existence. But, as the first person to kill a White Walker in ages, Sam is a vessel for some very important knowledge in “Mhysa.” After successfully defending Gilly and her baby with a dragonglass dagger, Sam continues to make his way to Castle Black, but not before running into Bran, Jojen, Meera, Hodor, and Summer at the Nightfort. Sam informs the group about the encroaching darkness and one of their only weapons against it—the dragonglass dagger and arrowheads, which he promptly hands over to Hodor and Meera, thinking his part in all of this is almost over. He then takes Gilly and her baby to meet Maester Aemon, who’s quick to assume that Sam violated his oath by fathering a child. But once he’s convinced the maester that he’s done no such thing, Sam shares his encounter with the White Walker: “We didn’t build 500 miles of ice wall 700 feet high to keep out men. The night is gathering, Maester Aemon—I’ve seen it. 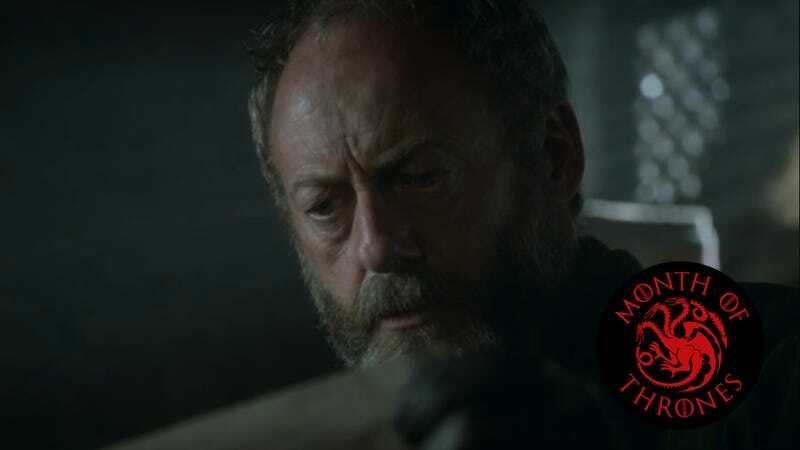 It’s coming for all of us.” Hearing this, the maester instructs Sam to make sure the Night’s Watch’s 44 ravens are well fed, because they’re about to spread the word of this world-ending threat. Of course, the fight for the Iron Throne continues to mean something for the biggest names in Westeros, but thanks to Sam (and Maester Aemon and a bunch of ravens), what was once the stuff of campfire tales is now a tangible threat. We might not have gotten Lady Stoneheart, but word of the White Walkers is out there now, as is information about how to fight them (though that is admittedly available to a much smaller group for now). 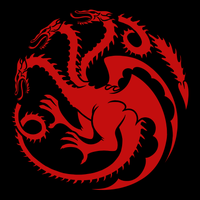 Speaking of scrolls, the small council at King’s Landing learns of the Red Wedding, which Tyrion correctly surmises was actually Tywin’s doing. They get into a discussion about whose lives matter in war, before Tywin admits he wanted to drown Tyrion when he was born. But “family first,” eh? Also, Theon accepts his new identity as Reek just as his sister Yara vows to rescue him from Ramsay’s clutches; Gendry starts a-rowing; Cersei talks up her love for her kids, even Joffrey, to Tyrion; Ygritte shoots Jon full of arrows, but intentionally avoids killing him; Jaime makes it back to King’s Landing with Brienne and Qyburn; Jon makes it back to Castle Black, where he finds Sam once more. And Daenerys goes crowd-surfing among her new subjects.